Hooray I’m doing another How To Style post! I really enjoy doing these type of posts and not just because it gives me an excuse to look at pretty clothes (like I need an excuse). Today I’m going to share four ways how to style a white shirt. A white shirt is definitely a wardrobe staple and can be styled in so many ways. This look is perfect for a professional environment. 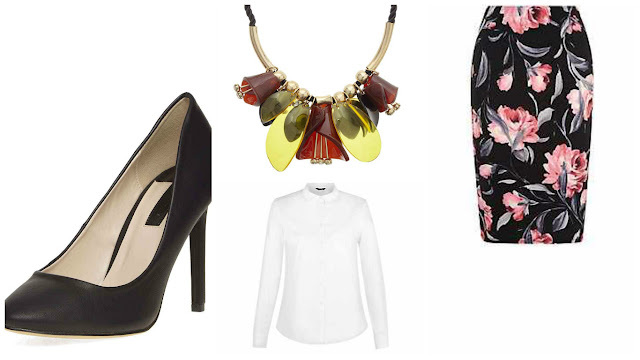 Tuck your white shirt into a pencil skirt and team with a statement necklace. If you want to avoid the secretary look go for a bright print pencil skirt rather than plain black for a pop of colour. For a more casual look that will be great for the colder weather, team your shirt with a trusty pair of black jeans and high boots. 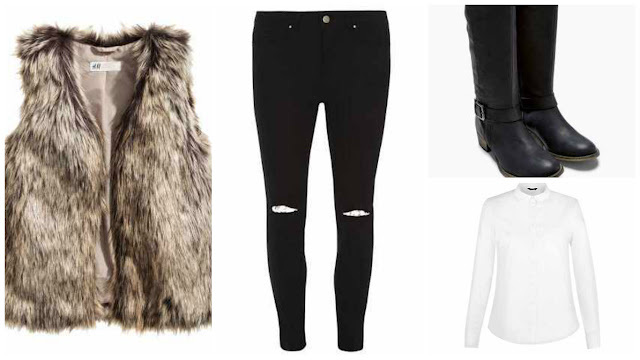 Add a faux fur coat or gilet for when you are outdoors. Try putting a dress over your white shirt for a cute playful look. If you want to keep the look casual add a pair of white trainers or add a pair of heels to give the outfit a more grown up feel. This look involves either a man’s or an oversized white button down shirt. Try wearing the shirt as a skirt. I know it may sound odd but it looks great. For warmer weather wear it with a fun crop top and sandals. 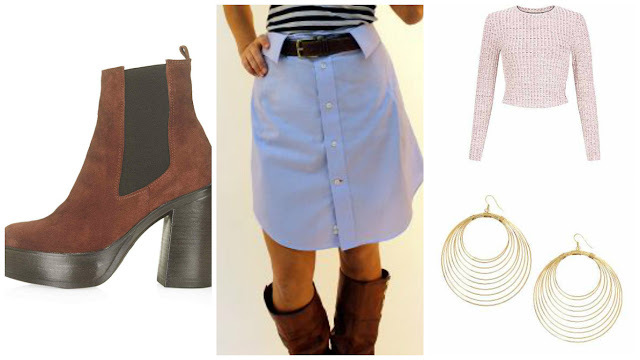 For winter add tights and chunky boots. I hope you liked these outfit ideas and they gave you some inspiration. 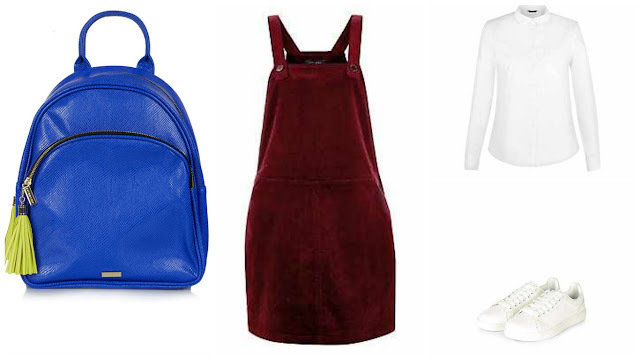 I hope you enjoyed this post, which was your favourite outfit idea? How do you style a white shirt?